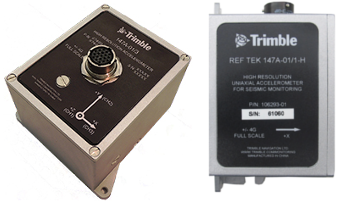 REF TEK 130S-01 Broadband Seismic Recorder digitizes and stores analog input from geophysical sensors. It’s compact, requires low-power, low-maintenance, and includes rapid event notification telemetry for ultra-low latency data transmission. The 130S is constructed with up to five internal boards stacked together. This arrangement is more reliable and less costly than a traditional backplane arrangement. The 130S comes with a Lid Interconnect Board, a Microcomputer Board, one or two ADC Boards and a Sensor Control Board. Remote command and control of the unit is available via software for iPhone (iOS 5.0 or later) or Windows (7 or later.) Additionally, State-Of-Health monitoring is accomplished with an extensive set of Status commands. This unit records seismic motion. The 160-03 is a self-contained, fully integrated Aftershock System providing simple and quick deployment during aftershock emergency mobilization. During deployment, the dedicated 160-03 app can connect to the unit via Wi-Fi to stream real-time data for all six channels. The self-contained rechargeable battery pack provides power autonomy up to 7 days during continuous data acquisition at 200 sps on three recording channels. 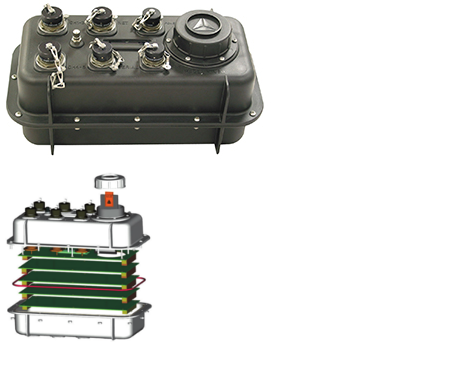 For longer power autonomy, the 160-03 Aftershock System battery pack can be charged from an external source. Remote command & control of the unit is available via software for iPhone (iOS 5.0 or later) or Windows (7 or later.) Additionally, State-Of-Health monitoring is accomplished with an extensive set of Status commands. Data Latency over LAN 0.4 sec. Model 130-REN-3 has been specifically designed to meet the key requirements for Earthquake Early Warning Systems (EEWS) and Rapid Event Notification (REN) systems by quickly delivering digital data from the seismic station to the data processing center for the real-time earthquake notification system to provide a warning prior to significant ground shaking. The 130-REN recorder allows output of digital data every 0.2 sec with 0.4 sec latency over LAN. The 130-REN uses a backfilling algorithm to keep track of data packets that have not been acknowledged and re-transmits those data packets. The 130-REN allows you to meet the critical requirements of the Rapid Seismic Event Notification System by detecting strong ground shaking at one or several locations, and transmitting a warning notification ahead of the seismic energy affecting a populated area. The 151B is a force-balance feedback sensor. 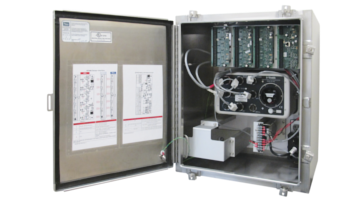 This broadband seismometer contains three independent sensors (one vertical and two horizontal) with built-in electronic feedback circuit, low noise and a large dynamic range. The 151B seismometer is used worldwide for local, regional and global seismicity studies. 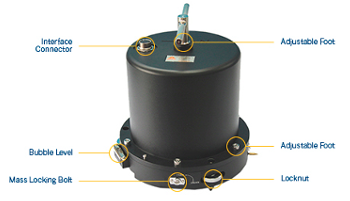 The low self-noise performance makes the Observer an ideal seismometer for seismicity studies in different installation configurations, including observatory and portable, surface and posthole applications. The 151B Observer has built-in leveling and mass lock/unlock facilities. The leveling mechanism includes two bubble levels, three adjustable feet and three locknuts, located on the chassis. A mass zero-position adjusting mechanism performs automatic mass centering. These units sense seismic motion. 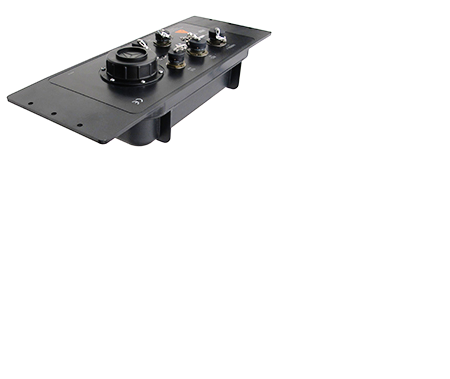 The 147A Low Noise model is +/- 4g full scale and provides excellent dynamic range which is useful when used with 24-bit digitizers. This accelerometer uses a force balance feedback technique to make up for the mechanical limitations of conventional accelerometers. A force balance feedback sensor overcomes the shortcomings of nonlinear distortion and threshold of sensitivity of elastic measuring parts. The 147A’s high sensitivity, large linear range, high resolution and high dynamic range makes it suitable for field applications such as microzonation, site response and earthquake monitoring. REF TEK's Field Setup Controller (iFSC) is designed to work with an iOS device. iFSC is used to edit and program the acquisition parameters of the 130 Recorder via the Serial connector. 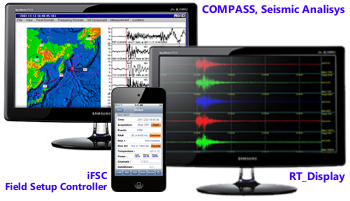 COMPASS, Seismic Analisys Program.This powerful and user-friendly desktop computer program provides weak and strong motion comprehensive data processing tools. REF TEK's RT_Display program is a flexible, real-time data viewer. RT_Display connects as a client to the RTPD server. It provides a real-time data time-series display of any number of user selectable channels that are being received by RTPD. This software analizes seismic motion. The SG160-09 provides the user with high rate GNSS and accelerometer data as well as full epoch-by-epoch measurement integrity.The system combines seismic recording with GNSS geodetic measurement in a compact, ruggedized package. 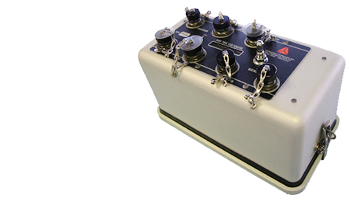 The seismic recording element includes an Advanced National Seismic System (ANSS) Class A, force balance triaxial accelerometer with the latest, low power, 24-bit A/D converter, producing high resolution seismic data. 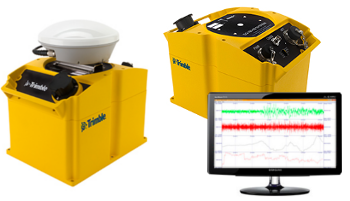 The Trimble Kestrel System processor acquires and packetizes seismic and geodetic data and transmits it to the central station using an error correction protocol with back fill capability providing integrity between the field and the processing center. The 130-SMHR meets the USGS Advanced National Seismic System (ANSS) specifications for strong motion reference stations for deployment in urban areas and has an internal high resolution force-balance accelerometer with a dynamic range >155dB, and a high precision oscillator for precise time-keeping. The 130-SMHR advanced communication features include TC/IP over Ethernet and asynchronous serial.Onboard LCD displays health and status information. Command/control interface allows the user to review and program the instrument’s operating parameters and perform diagnostic functions; acquisition status, sensor calibration, trigger parameters. 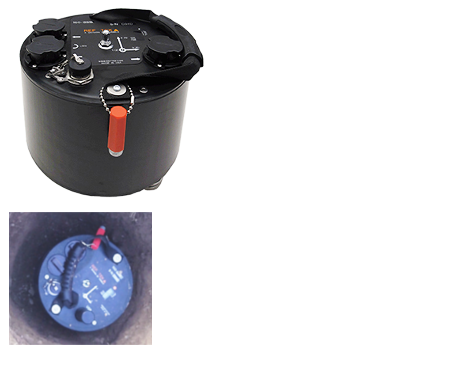 The instrument case size allows the installation of an internal battery to provide backup power for more than 48 hours. This units records seismic motion. The 130-MC is a robust multi-channel recorder designed for civil engineering and structural monitoring requirements. Built-in communication capabilities allow for real-time and on-demand data collection so that you can monitor your site and respond appropriately. The 130-MC’s network capabilities allow multiple units be interconnected for more comprehensive coverage of movement in a building or on a structure such as a bridge or a dam. 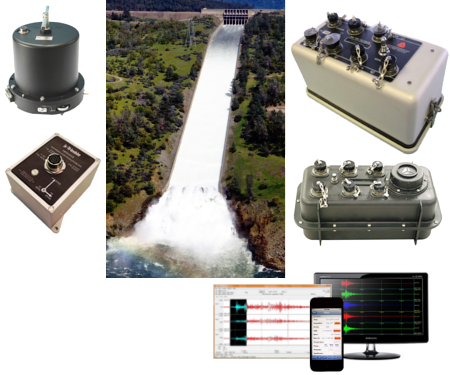 Available in a 12 or 18 channel recording system with advanced telemetry for real-time data collection on all channels. The 130-MC is designed specifically to work with the REF TEK® 147A strong motion accelerometer, but has the flexibility to connect other sensors.